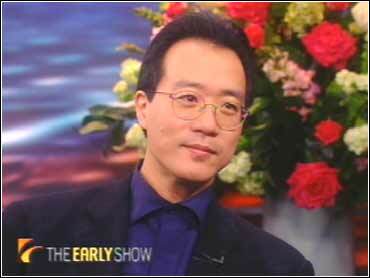 Virtuoso cellist Yo-Yo Ma played on the soundtrack for the highly acclaimed and successful Crouching Tiger, doing his share to bring ten Oscar nominations to the film, two nominations for the soundtrack alone. Ma said he had absolutely no idea the movie would be so successful when he signed up to work on it. "I read the script. I knew the composer, Tan Dun. I knew that Tan Dun and Ang Lee, the director, were very good friends," said Ma. He approached them to see if he could help with the score. it was a very exciting process." Dun's score won an Academy Award for best original score, one of the film's four Oscars. How much of Ma's own mark did he put on the music? to find that little intersection and say, okay, they both are really happy with the result. And, of course, you don't know the final result until -- you have to see the film." He explained further, "You look at the video and you look at the scenes and you try and get a feel from it what it needs and not to give too much, just support what it might want you to do." The film has so far reached almost $100 million at the box office. "I'm proud for the team. I mean, you know, I just did my little part," said Ma. Ma and violinist Yitzhak Perlman played at the Academy Awards.